(Bloomberg) -- President Donald Trump said talks on a revised NAFTA are “doing very nicely” as ministers from the U.S., Mexico and Canada meet in Washington to try to push for an agreement by early May. Under optimistic conditions, negotiators have a 75 percent chance of reaching a deal soon, Moises Kalach, the trade head for the Mexican business chamber known as CCE, said in an interview with Grupo Formula radio. 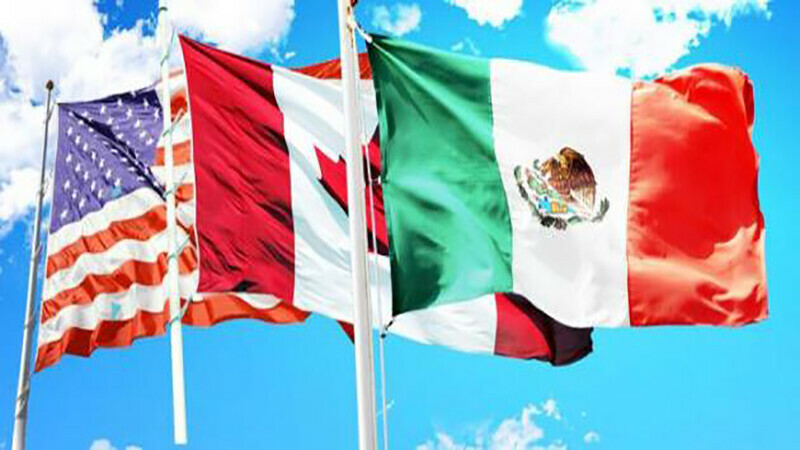 An agreement on an updated North American Free Trade Agreement could be reached in the next 10 days, he said. If no deal is reached in the coming days, it may make sense to put negotiations on hold until the end of the year or early 2019, given the presidential election in Mexico in July and the U.S. congressional midterm vote in November, Kalach said. Negotiating teams have agreed on nine or 10 more topic areas that are ready for ministers’ review and approval, Kalach said. Even so, wide differences remain on some of the toughest issues, such as tightening up the rules of origin for cars and their components, aimed at boosting American manufacturing but that could upend existing supply chains. Mexican Economy Minister Ildefonso Guajardo and his team were at the U.S. Trade Representative’s office in Washington on Tuesday morning for private meetings with their American counterparts. Canadian Foreign Affairs Minister Chrystia Freeland is expected to take part in discussions in the afternoon. Guajardo this month said he sees an 80 percent chance of an agreement by the first week of May. Negotiators are also rushing for a deal as Mexico approaches elections on July 1. Mexican left-wing presidential candidate Andres Manuel Lopez Obrador, who has stoked investor concern with talk of canceling an airport and slowing an oil-industry opening, has consistently led in polls.